Are there free photo editing programs out there that will fill in for Lightroom and Photoshop (or On1 and CaptureOne)? Many photographers who are just starting out, or who are doing photography as a hobby (a very expensive hobby) may not want to shell out hundreds of dollars for top-of-the-line photo editing software. Are there alternatives? Yes, but with qualifications. No single program is an exact substitute for the big boys. There are features missing or the interface may be clunky. You even might find a thing or two one of these free applications does better than the commercial software. But, as with so many things around photography, finding what will work best for you is a deeply personal decision. This article will give you an overview of some options. If one sounds good, give it a try. It’s free! What have you got to lose? Be aware, though, that you may have a hard time getting help, if you run into a problem. Most of these programs have large user bases and have forums full of questions, answers and advice. However, while you can probably find a local photographer or community college teaching Photoshop, you’re not likely to find expert teachers for PhotoScape or Photo POS Pro. And, if you find something you don’t understand, your photo friends are probably not using these alternative programs. If you like to learn, play around with software, and figure things out on your own any of these products could save you money and provide a little do-it-yourself fun. If you’re a Mac person, or know someone who is, there are options for them, too. Some applications, like Google Photos or GIMP, work on both platforms. For a rundown of Mac options, see my earlier article, Photo Editors on the Mac: The built-in editor vs five free options. What could be more convenient that what comes with your computer? That’d be Windows Photo Gallery. At first glance, it doesn’t look like much more than the Photo Viewer, but it actually contains a lot of useful tools and abilities. Window Photo Gallery has some nice tools. I’ll confess to using a Windows machine at a previous job for many years, to doing a lot of photo editing, and to never realizing that there were some decent, basic editing tools available right on my device. I’d gone right to Lightroom and Photoshop and, only in researching this article, did I find out the Gallery had some utility. I’d still edit in Lightroom and Photoshop but the Windows Photo Gallery could be quite adequate for someone just beginning to edit their photos. As you progress along your photography journey, you’ll soon want something more powerful and sophisticated, but Gallery isn’t a bad place to start, especially if you start out shooting in JPG. 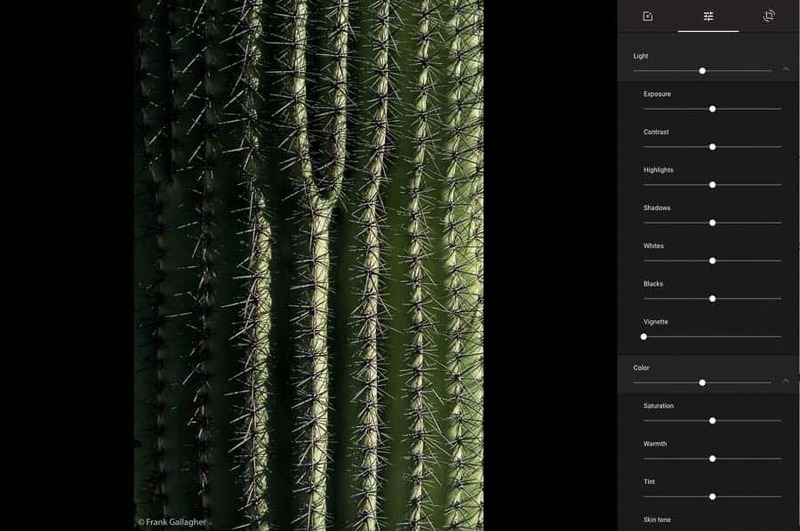 Windows Photo Gallery does not have native support for RAW images. For that, you have to download and install the Microsoft Camera Codec Pack. Once the codec is in, though, you’re good to go. You can rate and tag, caption and flag photos, making them easier to find, sort and work with later. Photos can be automatically adjusted or retouched and red eyes removed. The Retouch button lets you select an area with a blemish and the software will correct it, similar to cloning or content-aware fill, but not as powerful. You can straighten and rotate your images and, importantly, you can always go back or “revert” to the original image if you mess up or decide you don’t like the direction your edits are going. 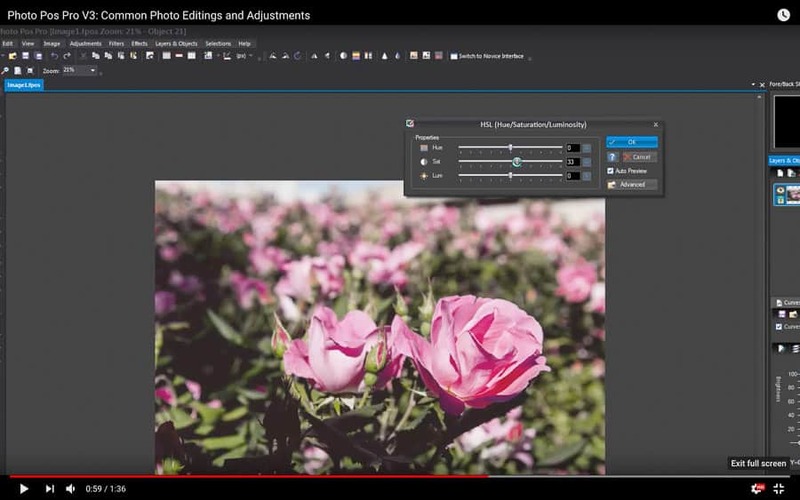 You have the ability to crop an image, but not as easily as in Lightroom or Photoshop. It’s actually a little clunky. Gallery's sliders symbol opens a side panel full of controls. The basic editing tools allow you to adjust color and exposure, but you can also straighten the image and apply noise reduction. As might be expected, the noise reduction is not as good as that in Lightroom, Photoshop or other paid programs, like Topaz DeNoise or Nik Dfine. 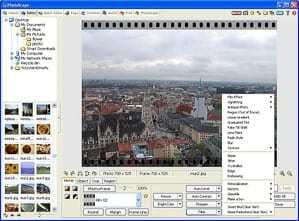 When you want to adjust color or exposure, you can click on the slider button labeled Fine Tune, which opens up a side panel with a histogram and sliders which give you more complete control over tasks like tweaking brightness, contrast, shadows and highlights; for color temperature, tint and saturation, and for straightening the photo, reducing noise and sharpening. For a novice or a casual editor, this may be all you need. 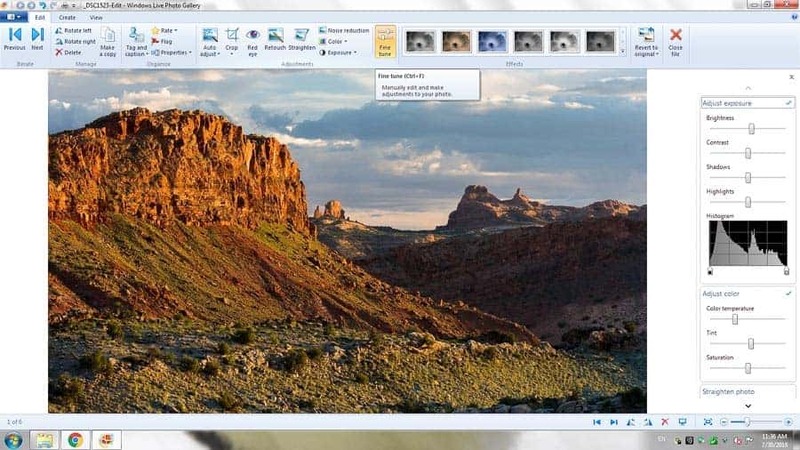 If you’re looking for more powerful tools, you’ll outgrow Windows Photo Gallery fast. If you have a Google account, like millions of us, then you have Google Photos, which does a lot of what Lightroom/Camera RAW does. It has some good features, but they’re kind of hidden. In Google Photos, double click on one of your photos and look at the top right. Look for the three sliders icon, fifth from the right, which opens up a bunch of editing tools. Google felt that not many people print photos anymore, so why waste code on a print module most people won’t miss, so there’s no print function. Instead, you can download the photo to your computer and print normally from there. 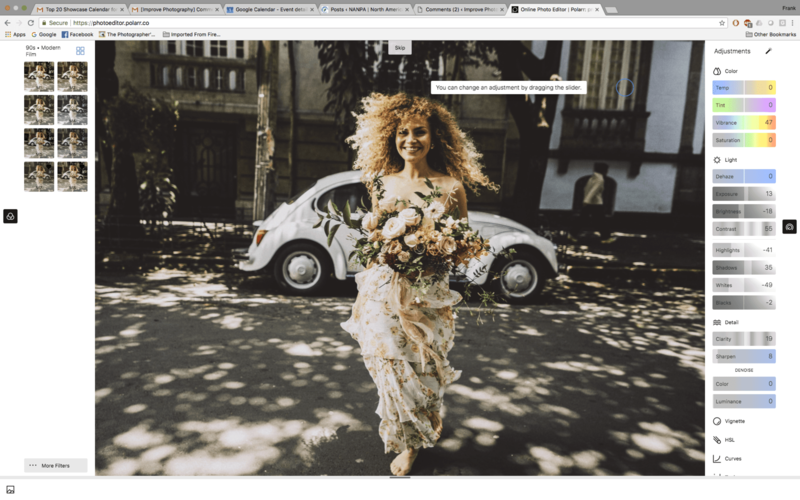 If you liked Google’s Picasa photo editor, the transition to Photos is pretty smooth. Paint.Net was originally created as the senior project of an undergraduate college student, who was being mentored by Microsoft. and its own online community, which also provides help, interesting plugins, and tutorials. The most recent update was earlier this year. Most of the essential editing tools are here, allowing you to adjust brightness, contrast, hue, saturation, or convert to black and white or sepia. In addition, you get a number of tools, including the magic wand, clone stamp, and curves tools, as well as sharpening or blurring. Paint.Net has an unlimited History window, so you can, at any time, go back a few steps and adjust something from several steps back or undo a previous step. You can combine images into composites but not focus stacking or panorama. It’s more powerful than Windows Photo Gallery, but doesn’t have the full range of tools of a Lightroom or Photoshop. If you’re looking for something along those lines, there are better options, beginning with GIMP. GIMP is a full-featured program that does most things that Photoshop does. 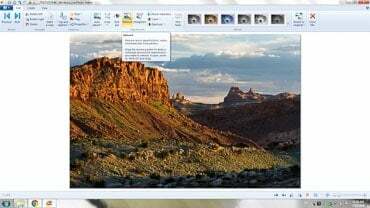 GIMP, which stands for Gnu Image Manipulation Program, is a cross-platform, open source image editor. It works on Windows, Mac and GNU/Linux platforms. 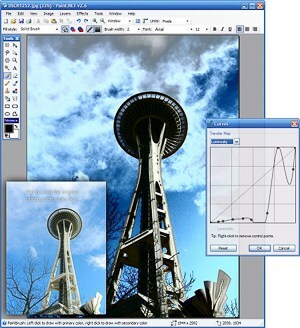 In addition to photography, GIMP is used by artists and graphic designers. If you’re up to the challenge of learning a complex, new system, give it a try. You can see a more detailed review of what GIMP does in my article on photo editing alternatives for the Mac. Two other programs that work on Windows and Macs are PIXLR Editor and FOTOR. Both have some very intriguing features and some things that make me scratch my head. They are both what you might call intermediate photo editors. They have a nice suite of tools, better than Windows Photo Gallery, but they’re not as deep as GIMP. See more information about them in my previous article. Photo POS Pro looks almost as sleek and stylish as Photoshop, but how does it perform? With more than 10 million downloads, Photo Pos Pro is one of the more popular editing alternatives, and for good reason. It supports most RAW file formats and has a nice suite of editing tools. The interface looks like it’s stuck in a time warp, but it’s laid out logically and is pretty easy to get familiar with. You can work with layers and can use masks, filters, brushes and curves. You can remove and replace objects and backgrounds with the magic eraser tool and the clone brush. You can also make smart selections, much like in Photoshop, with the smart magnetic selection tool and the smart selection brush. Photo POS Pro has all the familiar adjustments (screen shot from their website). 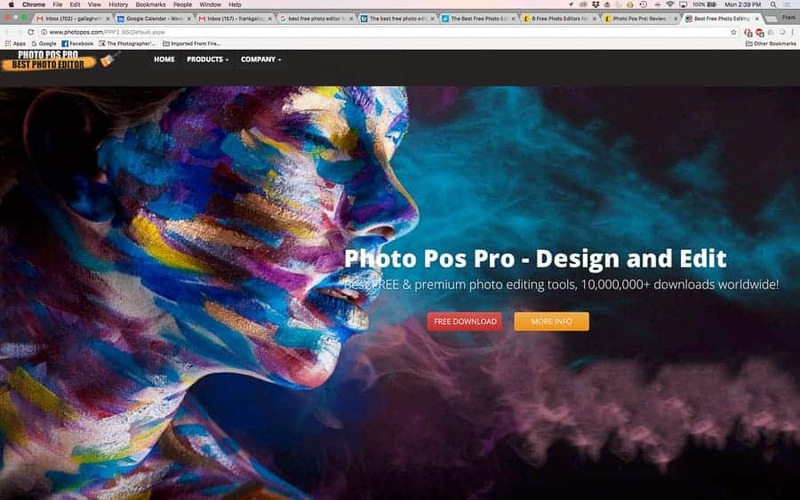 With Photo Pos Pro, you get all the basic photo editing tools, including the ability to adjust brightness, contrast, color and tint, to change the white balance, rotate an image or fine tune the sharpness. In addition, it has a selection of interesting and easy-to-apply filters and effects that you can try. Photo Pos Pro has an extensive group of tutorials, both text and video, to help you get started. It supports saving your image as a GIF, JPG or TIFF file, as well as its own .FPOS format. PhotoScape describes itself as a “fun and easy editing software that enables you to fix and enhance photos.” With this free download you can do basic editing, like adjusting white balance, contrast, saturation, brightness and colors. You can resize, rename and crop, use filters and a clone stamp tool, reduce noise or add blur. You can convert RAW files to JPG and print with relative ease. PhotoScape also includes the ability to put together slide shows, add text and apply frames. You can combine photos into collages or strips, and create animated GIFs, but things like focus stacking are beyond its abilities. If you want to apply the same edits to a number of photos, you can use PhotoScape’s Batch feature. There are tools that let you introduce motion blur to your photo, or simulate a tilt-shift lens. You can pretty easily flip photos to create a mirrored image, add vignetting or correct red eye. If you’re into the Instagram culture, PhotoScape has some frames, filters and effects that are cute and would make your photos stand out. And it’s way easier with PhotoScape than in Photoshop. It’s not as powerful or sophisticated as Photoshop or Lightroom, but PhotoScape has most basic editing tools in a simplified and easy-to-learn approach. In fact, there are almost 50 video tutorials demonstrating how to use its features. It comes in multiple languages from English to Portuguese to Chinese to Turkish. Polarr is and Artifician Intelligence start up that began in 2014. They bring some of that AI technology to their online photo editor. It can do pretty much anything Lightroom can do as far as editing a photo, plus a few more. However, it doesn't have Lightroom's catalog feature and it is, as the name says, an online photo editor. It works with PCs or Macs. The Polarr workspace, from a screen shot. Polarr has pretty much all the controls and sliders that Lightroom has, including Dehaze, which sets it apart from others. It has a retouching tool and a history panel, allowing you to go back to a previous step. You can reduce color or luminance noise, apply vignettes, use curves, adjust HSL. You can add text and shapes, use a variety of interesting filters, and some overlays. 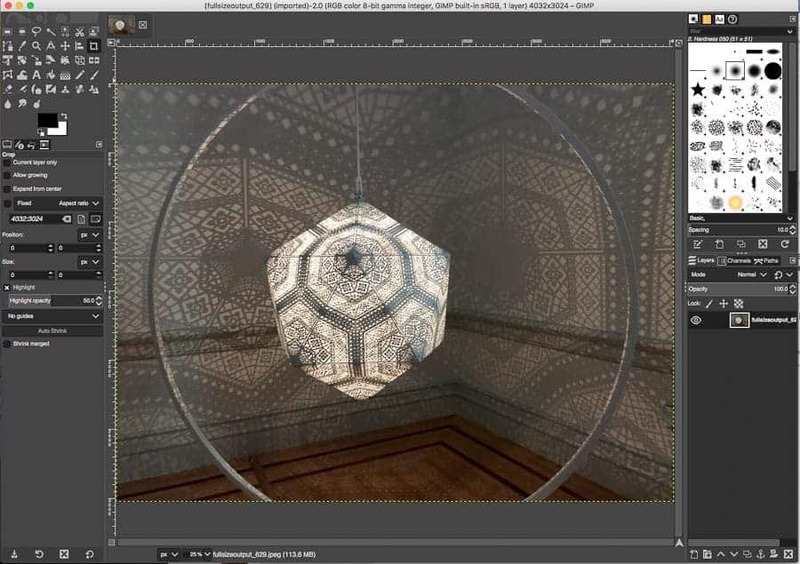 Polarr contains some Photoshop-like elements, too. It has Look Up Tables, which not everyone uses, but some really like. You can also use the distortion feature and play with perspective or lens distortion, as well as horizontal and vertical distortion. If you don't mind editing online, check out Polarr. And thanks, Jeff Newman, for bringing Polarr to my attention. PhotoFiltre has been around for a while (it’s on version 10) and bills itself as a “complete image retouching program.” It does a lot of important things you’d really want in an editor, but not as much as Photoshop or, for that matter, GIMP. What can you do? You have your basic adjustments, common to most editors: brightness, saturation, contrast. With PhotoFiltre, you can work in layers, use masks and make selections. You can correct red eyes, use a variety of creative filters and create animated GIFs. All of the documentation is in French and, while there is an extensive set of tutorials, they’re also in French, as well as Dutch, German and Brasilian (? )—I thought they spoke Portugese in Brazil. 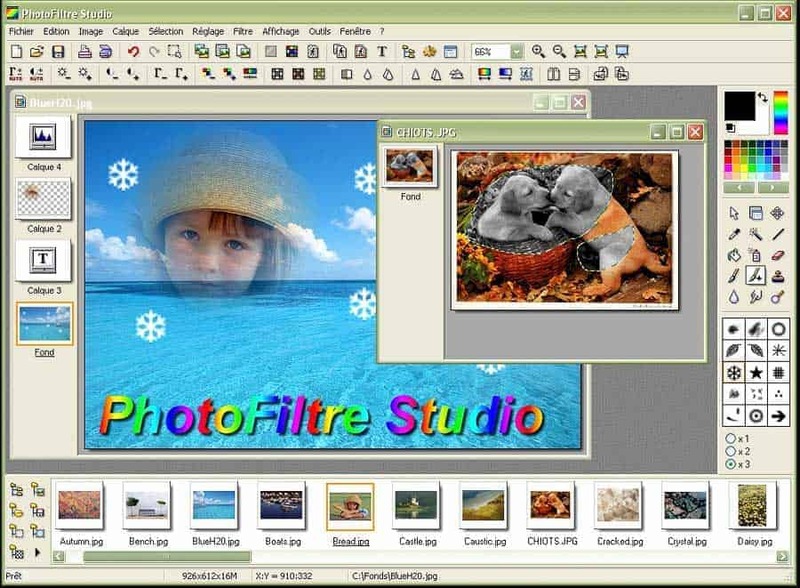 PhotoFiltre shows up in a number of lists of free photo editors for Windows. It has its fans and it has some staying power, but I suspect its user base is mostly outside the US. If I had to make a choice, I’d lean towards Google Photos or Photo POS Pro, but I’m wedded to Lightroom and Photoshop. Still, I was surprised by the number and capabilities of free photo editing alternatives. If you don’t mind playing around a bit to figure things out, and don’t have the spare cash for one of the major photo editing programs, give one of these a try. Do you have a favorite editing alternative? What is it and why do you like it?